The FHA 203k loan is a variation of the Federal Housing Authority-insured loan, commonly known as an FHA loan. The Section 203k program is the Federal Housing Authority's primary program for rehabilitating single-family homes and is an important means of community revitalization and expanding homeownership for many. The difference between the FHA 203k loan and a standard FHA loan is that the FHA 203k loan provides funds for home remodeling and improvements in addition to the mortgage balance. The benefit of this arrangement is that you can manage your finances under a single loan as opposed to having both a home loan and a home equity loan. What are FHA 203k requirements? Standard: To qualify for an FHA 203k loan, you must meet the standard FHA loan requirements, including down payment, credit qualification, loan limits, etc. Licensing: You must also only use licensed contractors to do the work. However, if the homeowner can show his or her ability to do the job, such as licensure in the area needing improvements, this requirement is waived. Specificity: The estimate that you get from the contractor must be itemized to include specific costs for each job completed. Minimum loan amount: A minimum loan amount of $5,000 is required. The loan amount is added to your mortgage balance and up to six months of future mortgage payments can be financed into the loan if the property is unable to be occupied during rehabilitation and the homeowner must live elsewhere. 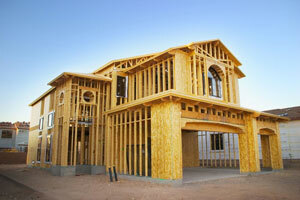 Permits: City and state permits need to be obtained before any work is completed. Third party inspection: Third party inspections by an approved FHA consultant are needed on every loan no matter the repair amount. 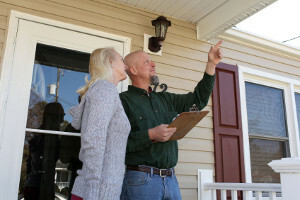 Homeowners are encouraged to get an independent third party inspection by a certified home inspector to be sure each repair satisfies and meets all of their expectations. The FHA consultant and hired contractor will work together to ensure all renovations meet housing code requirements. Closing: Once the home improvements are complete, the homeowner must close out the process by notifying the FHA consultant that the work is done. The FHA consultant will then tell your lending bank, who will then modify the loan into permanent amortized financing. Remember that when closing out the 203k, you need to provide the details pertaining to when the work was completed, when the final inspection was completed, how much money was paid to each contractor, and whether the work was completed according to the agreements detailed in the loan. Therefore, plan on keeping extensive records of this information to avoid a headache later. Convenience: Allows you to remodel without spending savings (remodeling costs put under the loan). Low-interest rates: Conventional rehab loans are more expensive. Potentially cheaper properties: Allows you to purchase a lower priced home and “fix it up” for a lower price than standard open market value. Mortgage payment financing: In some cases, an FHA 203k loan allows up to six months of future mortgage payments to be financed into your loan. What are the disadvantages of an FHA 203k loan? Lengthy process: The process of closing an FHA 203k loan takes longer than a traditional FHA loan. In most cases, you may wait up to 45 days to find out if your loan is approved. Contractual obligations: Once you accept the loan, you must follow through with the remodel and subsequently submit a bid to the bank. Once the process is started, you will find it difficult to stop if. Less available: Since the FHA 203k is less prevalent than standard FHA loans, getting an offer from lenders can be quite difficult as many might not fully understand the program. If you're considering this type of loan, make sure that the lender is familiar and has experience in managing this kind of loan. Competition: Due to competition for foreclosed houses and bank-owned properties, prices for suitable properties can be driven higher by more bidding, which negates some of the potential profit of fixing up a damaged property. What types of FHA 203k loans are available? The FHA 203k loan is divided into two types: The standard 203k and The Streamlined 203k. The Standard 203k: The standard variation applies to larger scale remodeling projects which will cost more than $35,000. These projects typically involve structural changes or require engineering or architectural drawings and inspections throughout the process. It should be noted that this loan requires considerably more paperwork than the Streamlined 203k. The Streamlined 203k: The streamlined version of the 203(k) loan is intended for improvements and projects whose total cost will be under $35,000. In addition, the streamlined 203k eliminates the requirement of necessary inspections by consultants, architects, and/or engineers. The FHA 203(k) Streamline loan requires considerably less paperwork than the traditional streamlined 203k. Who should apply for an FHA 203k loan? FHA 203k and other rehab loans benefit many categories of borrowers. For example, if you're interested in buying a fixer-upper property or a home that could be improved with remodeling, an FHA 203k loan will be quite helpful. In addition, FHA 203k loans also benefit existing homeowners who would like to remodel or rehabilitate their homes without paying through savings. The FHA Streamline 203k loan program is a fast and easy way to obtain the funds necessary to renew a home. This unique borrowing opportunity eliminates the need for you to immediately apply for a home equity loan to fund home repairs. Instead, the FHA Streamline 203k loan, like the standard version, allows the borrower to conveniently manage both a home loan and remodeling costs under a single loan. Furthermore, the FHA 203k Streamline program can be used to purchase or refinance a single family home, provided it's used as a primary residence. The FHA Streamline 203k loan program is designed to allow the homeowner to make repairs before moving in versus having to move in and start repairing. If you're considering taking out an FHA loan, shop around to find the best rates for your loan. Due to the large amounts of money in an FHA loan, small adjustments in interest rates can make a significant difference in the total cost of your loan. To find the best possible rates for your future FHA loan, just fill out our Lender411's FHA Mortgage Request a Quote.